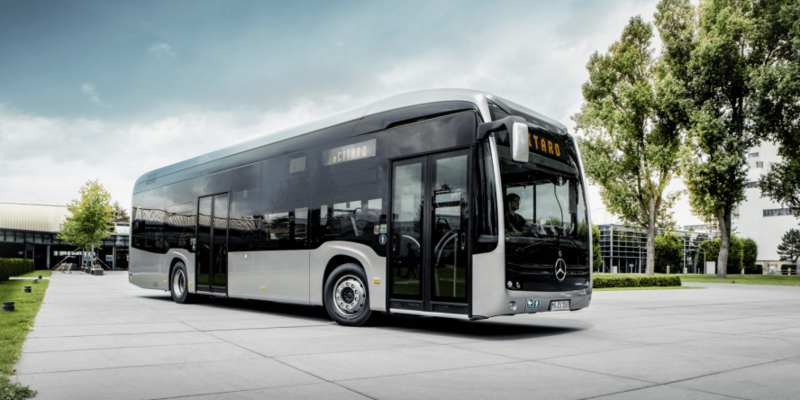 But first things first: The model that took the spotlight today builds on what Mercedes describes as a “thousandfold proven platform of the world’s best-selling city bus” while combining it “with new technological solutions”. 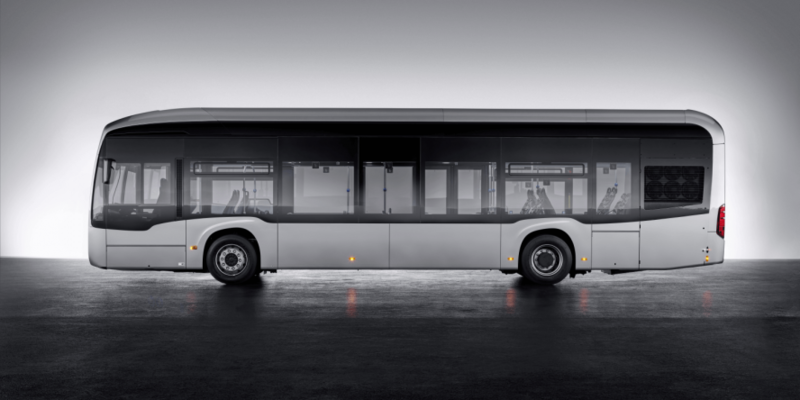 Specifically these are Akasol lithium-ion batteries with a capacity of up to 243 kWh, given the electric bus a range of 150 km even under adverse conditions. As a guarantor for this radius the manufacturer names the thermal management on board, which does not exhaust the batteries even at extreme temperatures thanks to the energy-efficient heat pump and air conditioning. 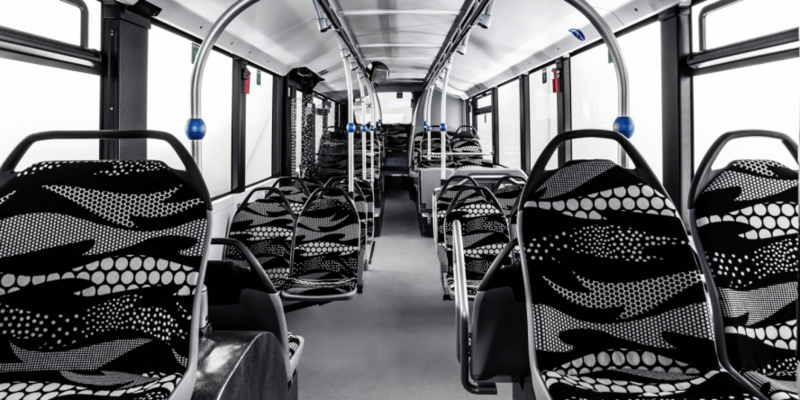 The energy consumption of the eCitaro is said to be 40 percent lower than that of the Citaro with combustion engine even. 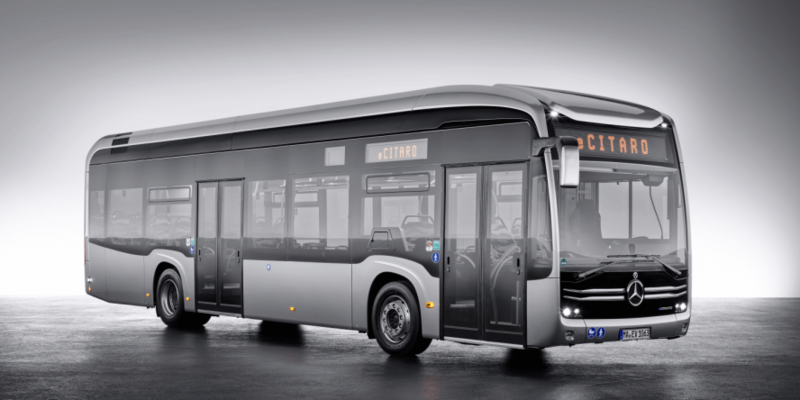 The electric Citaro features six battery modules as a standard, each contributing around 25 kWh to the total capacity. They are located at the rear and on the roof. 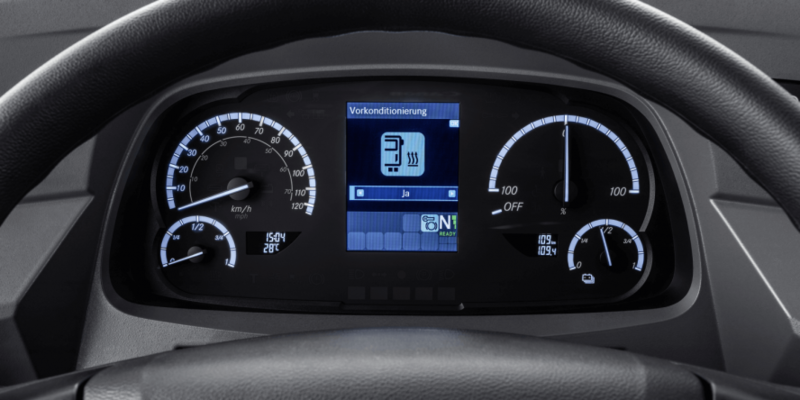 The number of modules can be increased to up to ten, resulting in the above value of 243 kWh and depending on customer requirements. 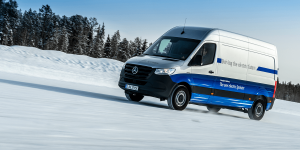 CCS is the chosen charging standard for the eCitaro but Mercedes says they will also offer pantographs as an option for intermediate charging in future. At the premiere in Mainz though, Mercedes made further reaching promises. 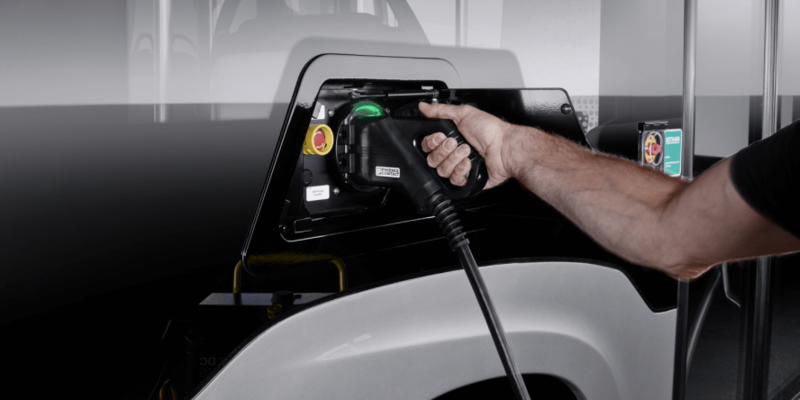 They expect to utilise new battery technology from 2020 for example, that would increase the eCitaro’s capacity to 330 kWh for a range of 200 kilometres on a charge. 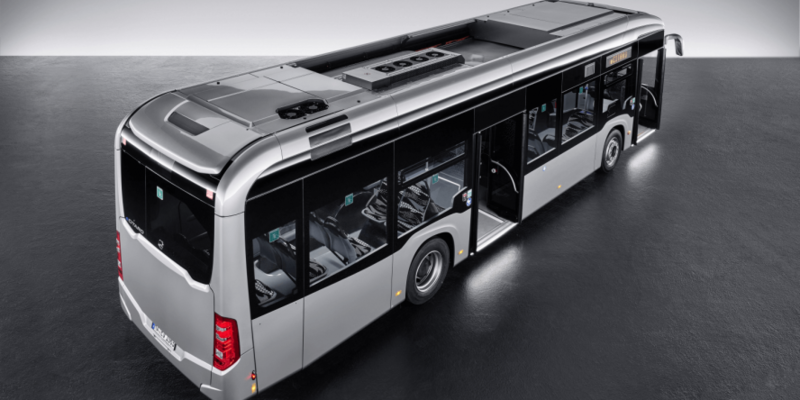 Moreover this is also the time Mercedes believes to have solid-state batteries ready as a standard feature of their electric bus. 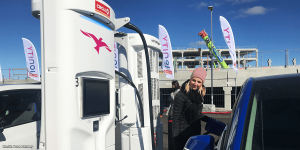 These batteries should be able to supply 400 kWh for at least 250 km. 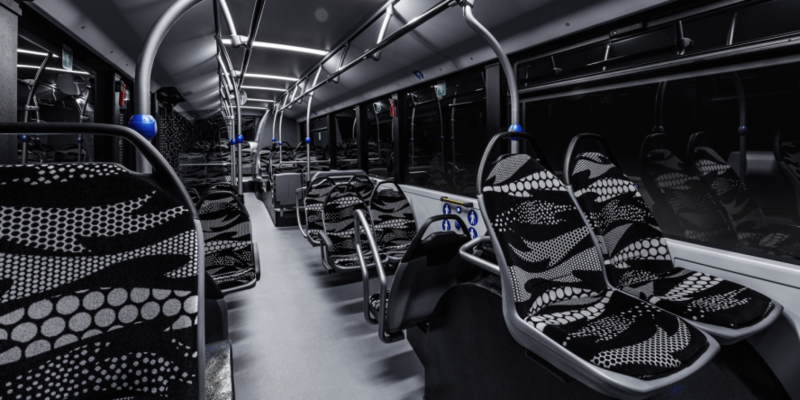 The Stuttgart-based company is also planning to launch an articulated bus version (with a choice of lithium-ion or solid batteries) from 2020. 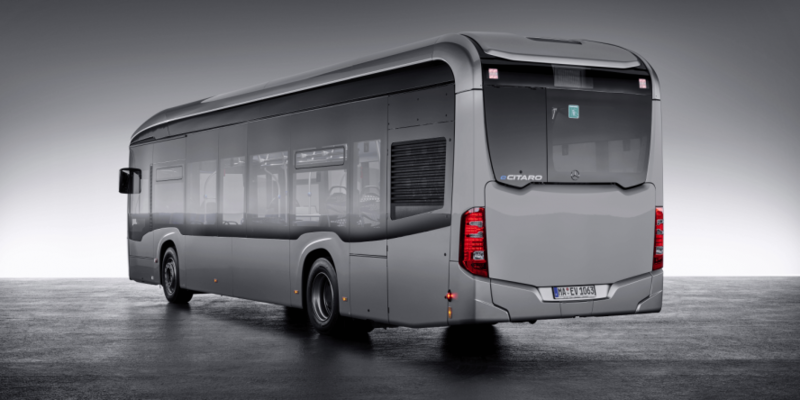 Two years later, in 2022 Mercedes-Benz wants to launch a bus version with a range extender fuel cell on the market, enabling ranges of over 400 km on one charge. 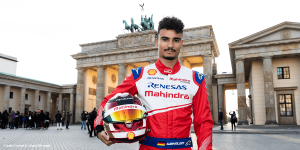 As you can see via our new Instagram account below (excuse the self-praise), Mercedes did all they could to convey a futuristic feel during the premiere. Apparently this concept is working. 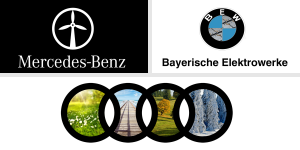 Mercedes received order from public transport firms such as Hamburg Hochbahn, Berlin’s BVG, and Rhine-Neckar traffic, even before this debut. 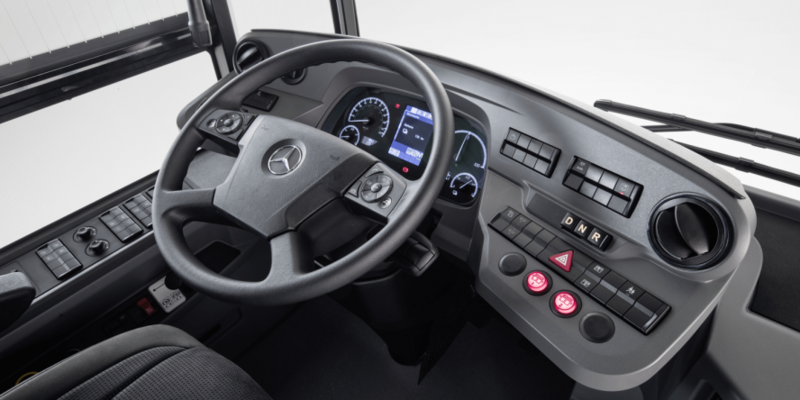 Parallel to the forthcoming series production of the eCitaro, that is to start this September, the bus division of Mercedes-Benz announces further investments of around 200 million euros by 2020. 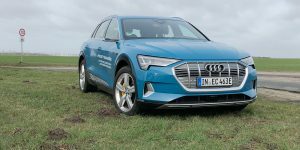 The funds will be used to develop future-oriented topics such as networking, automated driving, sharing services and electric drives.